All of the efforts of digital marketing—a visually appealing website, great content, keyword targeting, SEO, excellent social media marketing—don’t mean anything unless they result in earning customers. When businesses begin earning customers, this is known as Conversion Rate Optimization (CRO) or Conversion Optimization. In digital marketing, the goal for any business owner is to drive qualiﬁed traﬃc to their website and get those visitors to convert into leads. At Alecan, we use our years of experience combined with current research to perform the marketing strategies that need to happen in order to achieve Conversion Optimization. Whether the conversions come through an inquiry being filled out, a phone call, a purchase, or anything else, our team will help correctly funnel your website traﬃc into active users that engage with your content. 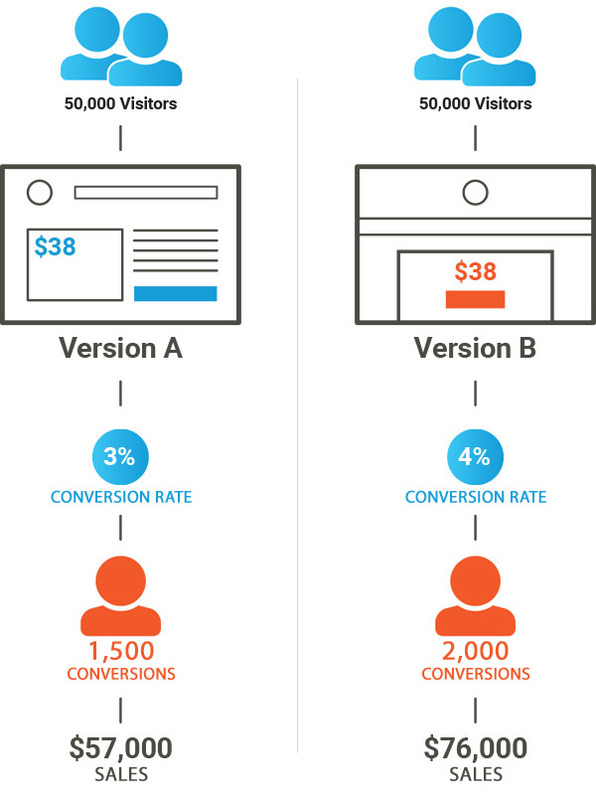 What’s Involved In Conversion Optimization? Once users begin visiting your website, then what happens? How do you get them to actually buy something, call, or click? 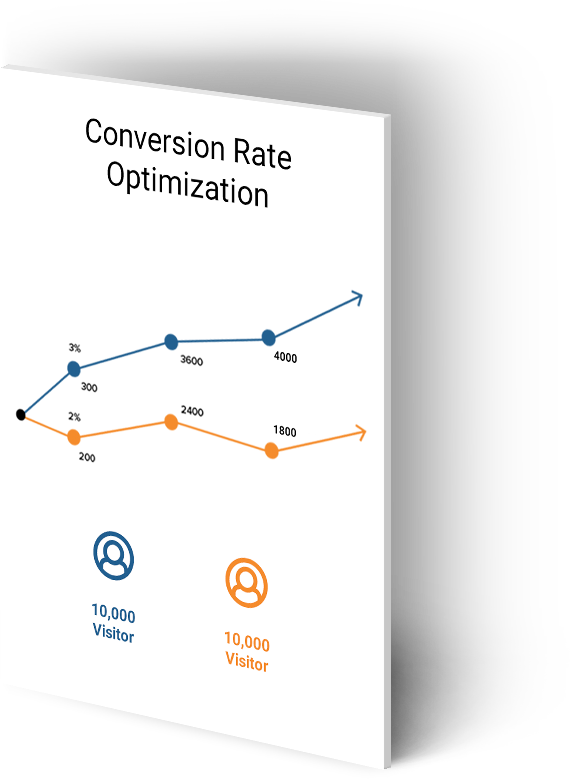 Conversion Optimization, when done correctly, maximizes every part of digital marketing in order to increase the percentage of visitors who become your next customers. In order to properly conduct Conversion Optimization, we first look at where your current website traffic is coming from, whether it’s a landing page, a link, or an off-site campaign. This helps us understand your users’ behavior and what works best within your industry. If a website has too many call-to-actions, this overwhelms the user and they won’t click on anything at all. At Alecan, we create commanding, focused, visually attractive call-to-actions in order to help guide and encourage users to click through and convert into customers. Through research and experience, our design team and programmers know what visual elements users respond the best to—and what makes them click away faster. This helps us create and implement pages that are clear and appealing so that visitors are drawn in and engaged. Once someone visits your website, the page they land on should immediately grab their attention. We create landing pages which urge users towards further interaction using specific images and call-to-actions. This results in more inbound leads, which leads to higher conversions. No one likes clicking over to a website and being greeted by five pop-ups. A big part of conversion optimization is making sure when pop-ups or forms are used, they offer the best user experience possible and avoid annoying website visitors. At Alecan, we always take the visitors’ focus into consideration. When a website has good conversion rate optimization and the elements it takes to create that CRO, the website is appealing to not only customers, but also to Google, Yahoo, and Bing. Having healthy conversion optimization means your business is trusted by your audience and search engines. Once we have all the elements in place for excellent conversion rate optimization, it doesn’t stop there. CRO is a continual and ever-changing process that’s always improving. Websites with the highest conversion rates are constantly implementing new strategies in order to keep up with the most current methods and trends. At Alecan, we look at the data and how visitors are using your website to determine what’s working best, and how it can be improved for even more conversions. The Main Headline. This area is extremely important, as it announces what the user has found. It’s the core of the page, and it needs to be clear and informative. Webpage Copy. Short copy on a web page may be better for visitors to get through quickly, but it’s not always best for search engines. Measuring the pros and cons of copy length and how it’s formatted is a big part of CRO testing. The Primary Image. The main photo, video, or graphic that is chosen to accompany the copy on the web page has a very important job. It must be appealing and relevant. Call-To-Actions. As one of the most critical parts of conversion optimization, the text surrounding a call-to-action often needs experimentation. Button Design. Is the call-to-action button too small? Too big? Not noticeable enough? These are things that we always take into consideration. Button Color. Did you know that different colors create different impulses for your website visitors? This is a scientific, time-tested marketing strategy that we put into effect for testing. Form Details. When we design an on-site inquiry form, we put a lot of thought into how long it is and its appearance. If it’s too detailed or overwhelming, no one is going to complete it. We stay up-to-date on what type of forms work best and get the most results. Interested In Our Conversion Optimization Services?